2Market Information Inc. operates as a tech transfer eNews, and national science and business publishing company. Its key focus is on improving technology transfer, the process for moving complex data from discovery to development and ultimately to manufacturing. Well-planned tech transfer shortens timelines, eliminates rework, protects the quality and frees scientists to focus on innovation. S.O.C. : Dear Mr.Schwartz, thank you very much for taking time for this interview and for the opportunity to share information about you, your team and your activity. I would like to start from the overview of your company entitled 2Market Information Inc where you serve as CEO and Publisher. By now, your company has become the leading independent information provider dedicated to technology transfer and research commercialization specialists. Could you please share with our readers on the story of the creation of the company and of course its team? Mr. David Schwartz: The company was created 10 years ago in 2008. It began as just a single publication, Technology Transfer Tactics. We saw a niche in this marketplace that we felt needed information to be provided, so we began a publication called Technology Transfer Tactics. 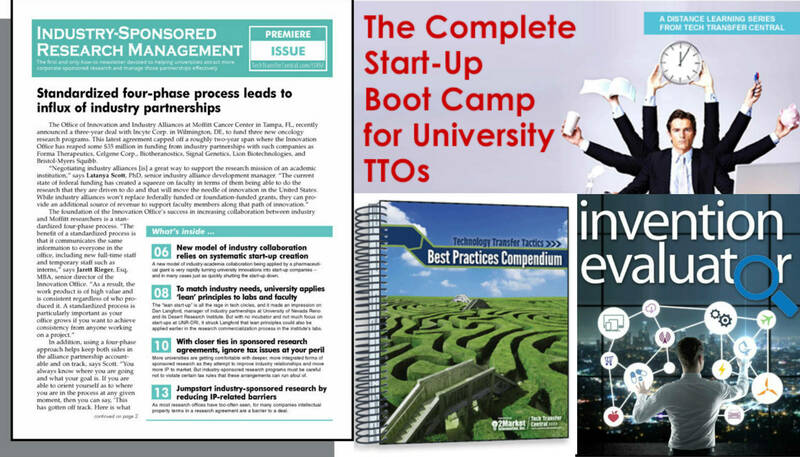 The idea was to provide very practical how-to information to tech transfer professionals. It was something we felt was missing in the marketplace. And it was very well received. So, we began there, with that single publication. And it is completely subscribers-supported, there is no advertising or anything like that. It’s all subscription-based. We’re basically waiting for a reader trying to determine what they need in terms of information and then proving it. Hopefully, it’s all very usable information that they can take into their operations and ultimately succeed more in commercializing their intellectual property. So, that’s where it’s started. Then we began to create webinars, which started out as just a couple of webinars a year and grew quickly. Today, we do about 45 different live webinars every year. Then we also created an archive of all those which is now go over 300 separate programs that we offer. 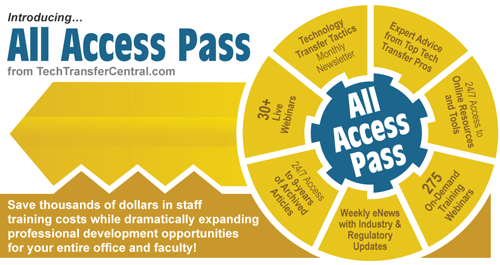 It is also a part of our All Access Pass, which allows universities and others to essentially subscribe and have any-time access on demand to all of those programs as they occur. So, webinars are another aspect of what we are doing. We also created a number of different partnerships with other information providers. We’re offering similarly focused publications, services or databases, anything that would, you know, deliver the information for tech transfer mission that we have. We created a lot of partnerships where we started using our database which in essence is a very major focus of the company. Our database is somewhere around 150 thousand research commercialization professionals around the world. Our company has definitely a global footprint. So we began to use that database for outside products as well, thinking that we would want to expand our own offerings to this small niche that we had. That also did very well. So we had the webinars, partnership products, publication, and we started to create our own secondary products, sort of one offerings, like the Best Practice Compendium, libraries of special reports, and things like that. It just kept growing and we kept increasing our offerings. That was when we launched our web portal called Tech Transfer Central, which sort of brought it all together under one roof and created what we feel is a really strong presence in the marketplace, where people (whoever needs information in this market) can come and pretty much find whatever they need right there on our page. It stands from our single product, single report all the way up to a big sign license or All Access Pass for universities where they have access to everything that we do in terms of publications and webinars. And then most recently we launched a new publication called Industry-Sponsored Research Management, which is also doing very well. 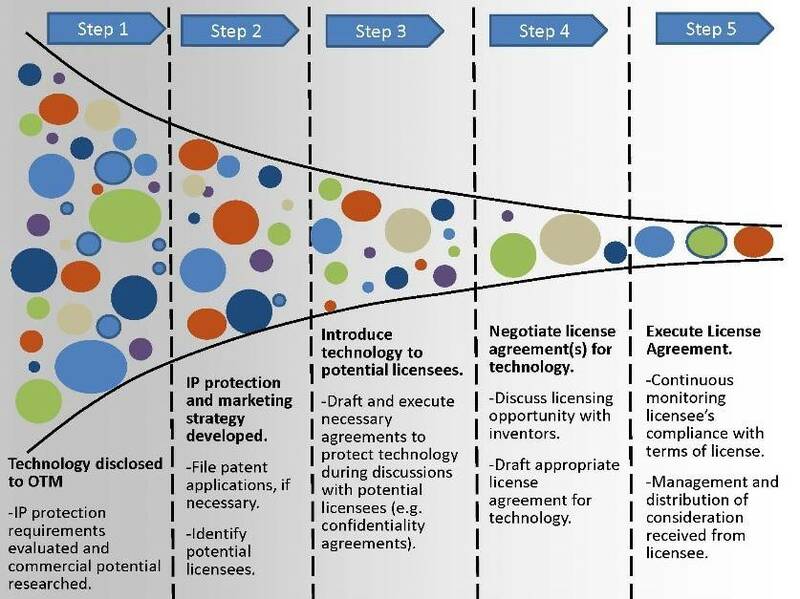 It has slightly different focus: while Tech Transfer deals more with licensing and protecting intellectual property in startups, Industry-Sponsored Research Management is really for those corporate engaging and industry liaisons within universities who are charged with developing deep and successful partnerships with industry. That’s pretty much where we are right now. So huge amount of services and opportunities for spinoff founders to take and use. If we define your specialty, it is technology transfer, but to be more specific what does it include? What aspects of technology transfer do all your services, including webinars, publications, web portal, cover? They certainly cover startups, a major part of your audience. We have things like the Start-up Boot Camp, which is a very extensive 21 program webinar series that covers everything, soup to nuts, that a startup would want in terms of everything, from planning for the exit to protecting your IP and working with outside vendors etc. It’s just a very deep set of webinars that we’ve put together into this Boot Camp series. It is primarily important to university startups. We don’t particularly focus on startups that are just out of the community and sort of on their own. What we really focus mostly on is startups that are spinning out of the university. Other topics that we cover are patents and patent infringement, protecting your intellectual property, licensing, negotiation of licenses, staffing, etc. I mean, if you can just imagine any topic within tech transfer that is a challenge for the people in that arena, we do cover it, one way or another: whether in the coverage that we provide, in our publications, or our webinars. If speaking roughly, could you name the first tool out of your services a spinoff founder should consider when he is thinking about technology transfer? I would say, the first one is what I’ve just mentioned, the Start-up Boot Camp. That is an extremely valuable collection. It has extensive comments from something like 50 experts around the world. It comes with all the handout materials. It’s very comprehensive, so I would definitely recommend that. As far as the second one, I guess I would say that the best thing we could offer aside from the Boot Camp is Tech Transfer Central web portal. On our website, we have everything broken out topicly, and one of the breakouts is “Start-Ups”. If you look at the “Start-Ups” tab on the website, there are dozens of individual programs and publications related specifically for startups. I couldn’t really pick one out of those, but I would say, as a way of navigating, at our portal I would start at a “Start-Ups” tab. From your point of view, what problem or problems your company and services might solve for a founder of a spinoff? Primarily, they can overcome what is typically fairly incomplete understanding of the entire startup challenge. There are things that people don’t really think about, particularly when the founder is, for example, a researcher or a faculty member. They don’t know a whole lot about the specifics of, for example, evaluation of a company or how to market your startup most effectively, how to work with outside partners, like IP attorneys, or how to protect their intellectual property most efficiently, what issues you have as a faculty member with conflicts of interests that you have to watch out for. There are dozens and dozens of issues related to startups that a lot of people don’t really consider or don’t fully understand. They might understand a little bit, for example, about the patent issues and how those are handled, but nothing about what kind of equity you might offer in exchange for a license, some of the ways to reduce your uprun expenses while you’re growing by working with the university to defer those expenses. I mean, there are so many aspects of being a spinoff out of a university that unless you have a very top-level executive who comes in and takes over from the start, you’re not going really have a full appreciation for many of these intricacies. So that’s a lot what our publications and webinars can offer as knowledge creation for these early-stage startups, anticipating some of the challenges and overcoming them. 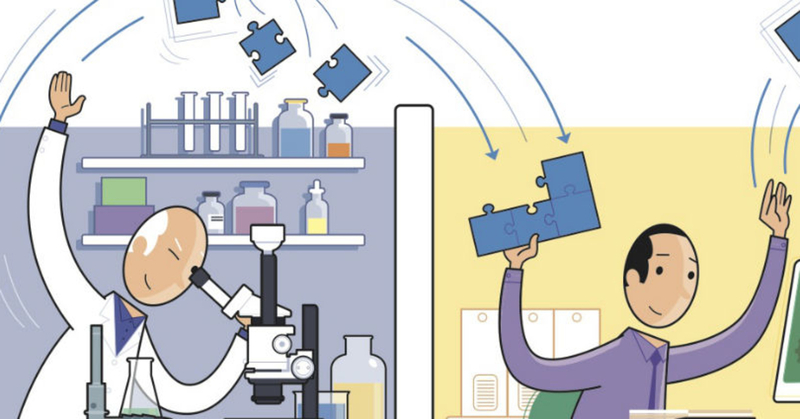 In the video, you can find a number of technology transfer professionals talking about other challenges that need to be addressed before bringing research out of the laboratory and of turning it into applications. Thank you, that is an important piece of information. Mr. Schwartz, considering your over 23-year experience in scientific and other publishing and about 10 in tech transfer field, what advice and warnings you might give spinoff founders in the sphere of your activity? What mistakes, possibly even fatal, should they avoid? I think, one of the mistakes that many founders make is trying to grow too fast and seeing venture capital as the Holy Grail. It can be a very important aspect of growth, but I think a lot of startup founders put that cart before the horse. You have to focus on the business itself, the viability of it, the market acceptance, the essentials of business creation making sure your business is scalable, that it has the real needs of its customers cemented into its fiber. Those are the things that, I think, startups should be focused on and I think too many get sidetracked on the financial side. Of course, it’s very important, but sometimes it’s better to bootstrap than, first of all, lose all of your equity to a venture capital partner, then become miserable (because your venture capital partners are demanding all kinds of performance), and more important lose the heart and soul of the company (because it becomes driven by the financials rather than by the need of the customer). That is the main thing, I would point out. We totally agree. Those are good tips to follow! The last but not the least point to discuss is a critical issue for the rising companies, namely money. Spinoff founders take into consideration all the expenses. One of the expected questions from them is whether they might receive a discount from your company and under which terms? There isn’t a good way for us to provide an across-the-board discount, since many of our partners would limit it by the partnership agreement that we can’t just discount a product without their permission. So some of the products we offer cannot be discounted. All the products that we produce ourselves, for example, our webinars, Boot Camps, distance learning collections and our own publications, can be discounted. Thank you for the information we can share with our partners among science spinoff teams. Personally, I am convinced you are doing an amazing job in tech transfer field. SPINOFF.COM team wishes you to move forward with your useful activities. Hope the spinoff founders find the services of your company beneficial.